Tune in for a history road trip as we cruise through the heritage of two east-west highways that span the entire width of the Hoosier state. Both have a billboard-high heap of other distinctions as well. In fact, the Lincoln Highway, which opened in 1913 as a result of a national crusade spearheaded by a famous Hoosier, is celebrating its 100th birthday. Extending from New York to San Francisco - and cutting completely across northern Indiana - the Lincoln Highway became, as USA Today recently put it, "the nation's first truly transcontinental road." 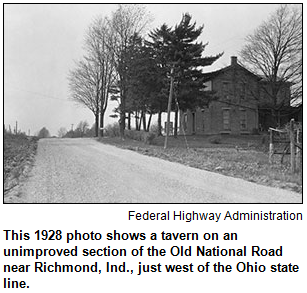 Beginning in the 1920s, U.S. 40 also traversed the entire country, including Indiana, where the highway stretches from Richmond to Terre Haute. For much of Indiana, U.S. 40 follows the route of the Old National Road, which pioneers in covered wagons used to settle in western frontiers after the roadway was created across Indiana in the 1830s. 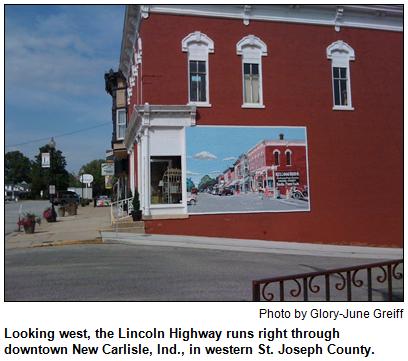 You can listen to our 2009 show about the Indiana National Road with historic preservationist Jim Glass here. 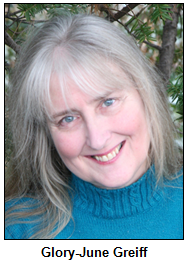 Indianapolis-based public historian (and frequent guest Roadtripper) Glory-June Greiff, who grew up near the Lincoln Highway in the northern Indiana town of New Carlisle. Joe Frost, executive director of the Indiana National Road Association. Joe also is the community preservation specialist in Cambridge City at the eastern regional office of Indiana Landmarks. So, who kicked off the national crusade to create the Lincoln Highway? None other than Greensburg native Carl Fisher, the entrepreneur who, with various partners, built the Indianapolis Motor Speedway and launched the Indianapolis 500 in 1911. Glory-June was Nelson's guest in 2009 for a show about Fisher's colorful life; listen to that show here. As the founder of the Lincoln Highway Association, Fisher advocated the creation of a transcontinental roadway during an era in the automobile's infancy, when long-distance travel almost always was by railroad. "Paved roads existed only in cities and towns, and auto travel on rutted, unpaved byways was not for the faint of heart," the USA Today article notes. The Old National Road was the nation's first federally funded highway. When construction of the dirt road through the wilderness began, starting in Maryland in 1811, civic leaders dreamed it would span the rapidly expanding country. Alas, the pioneer road ended in Illinois - at the town of Vandalia - when funds dried up. 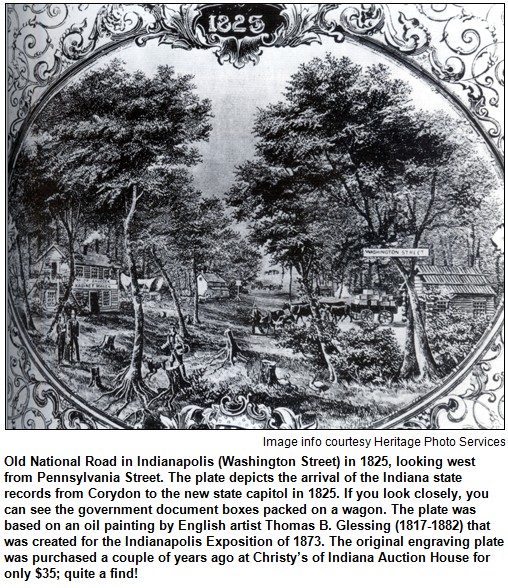 In Indianapolis, U.S. 40 - and, before its construction, the National Road - takes the name Washington Street. In addition to Indy, Richmond, Cambridge City and Terre Haute, Hoosier cities located on U.S. 40 include Centerville, Knightstown, Greenfield, Plainfield and Brazil. In some towns, such as Plainfield and Greenfield, U.S. 40 is known by the local name of Main Street. In Brazil, U.S. 40 is called National Avenue. To spotlight the Lincoln Highway, Carl Fisher arranged for statues of Abraham Lincoln to be placed along the route. There is an Indiana Lincoln Highway Association. Hoosier cities located on the Lincoln Highway included Fort Wayne, South Bend, Valparaiso and Elkhart. Beginning in the 1920s, the name "Lincoln Highway" began to disappear as the numbered highway system was established across the country. And beginning in the mid-1920s, Indiana had the distinction of offering two "routes" for the Lincoln Highway with the creation of a second option that traversed the state farther south, running from Fort Wayne to Chicago through Columbia City and Warsaw. Contemporary highways in Indiana that reflect the routes of the Lincoln Highway - or portions of them - are U.S. 20, U.S. 30 and U.S. 33. On U.S. 40 across the Hoosier state, landmarks range from historic farmhouses to skyscrapers and suburban strip malls. They include the Huddleston Farmhouse in Cambridge City, a brick residence built in the 1840s by a Quaker family with eleven children. The farmhouse, which offered overnight lodging for travelers headed west on the historic National Road, today includes a museum as well as Indiana Landmark's regional office, where our guest Joe Frost works. In Richmond, U.S. 40 passes a monument known as Madonna of the Trail. Dedicated in 1928, the monument at the edge of Glen Miller Park is a memorial to pioneer mothers of the covered-wagon era; it depicts a steadfast woman holding an infant, with a toddler clinging to her long dress. Other landmarks on U.S. 40 include the James Whitcomb Riley Boyhood Home and Museum in Greenfield; Circle Centre mall and Victory Field in Indy, and the Metropolis shopping mall in Plainfield. In the Wabash Valley between Brazil and Terre Haute, roadside landmarks include a large billboard for Clabber Girl Baking Powder that has been on the site since the 1930s. Across much of the state today, U.S. 40 runs nearly parallel to I-70. Guest Roadtripper and film historian Eric Grayson tells us that just a hop, skip and a jump from the Old National Road west of Indianapolis is the historic town of Greencastle. 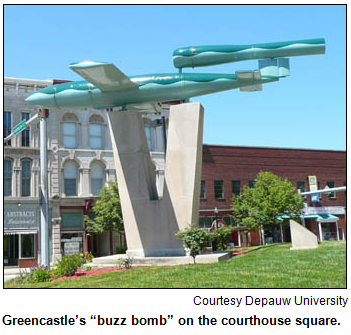 The hometown of DePauw University has something unique on its courthouse square: an authentic WWII buzz bomb, the V-1 rockets that Hitler used to bomb London. These are the bombs that were used before the silent rockets that were launched by Wernher Von Braun's team. This is the only authentic V-1 that exists in America! And across from their 1905 courthouse is a really outstanding local restaurant, Almost Home. And if you like desserts, you're a short drive from a 1950s ice cream shop, Dairy Castle. Eric also tells us that one of the real hidden gems in Greencastle is the DePauw Nature Park, which he says is a great example of outdoor historic re-use. The area was an abandoned gravel pit that had been excavated as close to all the neighboring roads as possible, and the university bought it and turned it into a fascinating nature park. If you like a short hike, you can see places that look like New Mexico, Hoosier swamps, butterfly gardens, frog ponds and two different creek beds. And you can see all kinds of wildlife, even more than you might find at some state parks! A roadside diner built in the 1950s on U.S. 40 has generated considerable attention in recent years because the once-popular eatery is considered endangered. 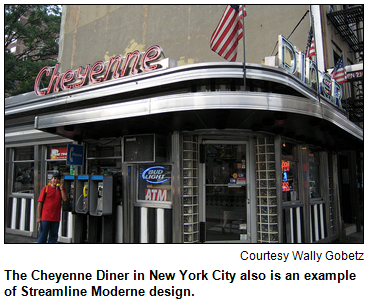 Designed in the Streamline Moderne style in New Jersey and transported by rail to a town in central Indiana, the diner closed in 2009. The next year, the vacant diner was named to the "10 Most Endangered Places" list compiled by Indiana Landmarks. The history and possible fate of the diner - which still has its 1950s interior with pink tiles - has been discussed on two Hoosier History Live! shows and sparked a Facebook crusade to save the landmark. The name of the diner reflects the town where it's located on U.S. 40. Question: What is the town in central Indiana with the endangered diner? The prize is a gift certificate to Le Peep Restaurant and two tickets to the NCAA Hall of Champions, courtesy of Visit Indy, and admission for four to the Indiana Experience at the Indiana History Center, courtesy of the Indiana Historical Society. Acknowledgments to Print Resources, Monomedia, Indiana Humanities, Visit Indy, WICR-FM, Fraizer Designs, Heritage Photo & Research Services, Derrick Lowhorn and many other individuals and organizations. We are an independently produced program and are self-supporting through organizational sponsorships, grants and through individual tax-deductible contributions through Indiana Humanities. We do not receive any government funding. Visit our website to learn how you can support us financially. Also, see our Twitter feed and our Facebook page for regular updates. Interurbans were intercity electric railways popular 100 years ago - and, believe it or not, the Hoosier state had one of the most extensive systems in the entire country. The first interurban line in Indiana opened in 1898, from Anderson to Alexandria. The first interurban to Indy opened on New Year's Day in 1900 and brought passengers from Franklin and Greenwood to the Hoosier capital. Interurban lines connected small towns with most of Indiana's big cities and the cities with each other. Lines radiated from Indianapolis to Fort Wayne, Louisville, Lafayette, Peru, Terre Haute and Richmond (and six other routes). These interurbans then connected with others, reaching Chicago, Toledo, Columbus, and even farther. A separate hub centered on Evansville. 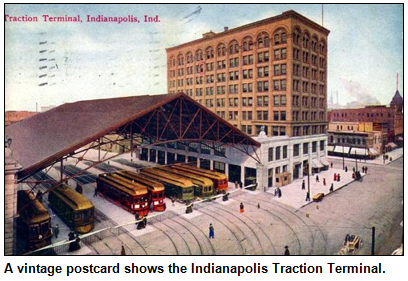 The bygone Traction Terminal in downtown Indianapolis - which opened in 1904 - was easily the nation's largest interurban station. Today, the only remaining passenger interurban in the state - and one of the few left in the country - is the popular South Shore line that links South Bend with Chicago. The final interurban departed from Indianapolis in September 1941, bound for Seymour. What happened to the electric railways beloved by earlier generations of Hoosiers? Why did they vanish from the Indiana landscape? Nathan Bilger, the planning director for the town of Whiteland in Johnson County. 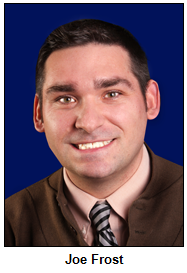 Nathan grew up in Columbia City, lives in Greenfield, and has extensively researched interurban and railroad lines throughout Indiana. Here is the website about Indiana railroading that Nathan maintains. And Craig Berndt of Fort Wayne, the author of The Toledo and Chicago Railway Company (2007), a book about one of the interurban lines that served travelers in northeastern Indiana, including residents of towns in his home turf of DeKalb County. According to Electric Railroads of Indiana (Hoosier Heritage Press, 1980) by Jerry Marlette, a total of 111 different interurban companies operated more than 3,000 cars in the Hoosier state during the interurban era. 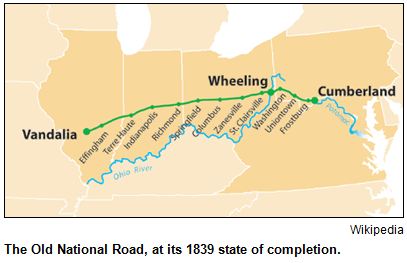 Only Ohio had more miles of interurban lines than Indiana's 2,100 miles under wire. Vestiges of the interurbans do still remain. In southern Marion County, the contemporary names of some streets - Stop 11 Road, for example - date to their heritage as stops on an interurban line. When our guests Nathan and Craig join Nelson, they will explore everything from the reliability of the interurban lines to various wrecks, including an accident that involved some of the cars on the final Indy-to-Seymour segment. Fun fact: Although the interurban system was designed to shuttle passengers between (not within) towns, travelers in Indy during the early 1900s rode the interurban to Broad Ripple and Irvington. That's because they were distinctively separate villages then, not having been annexed yet into the Hoosier capital. © 2013 Hoosier History Live! All rights reserved.